Last night was date night here. Paula and I try to occasionally get away from the stress of caring for her mother. Last night we attended the play “The Trip to Bountiful” at the Ahmanson Theater in downtown LA. 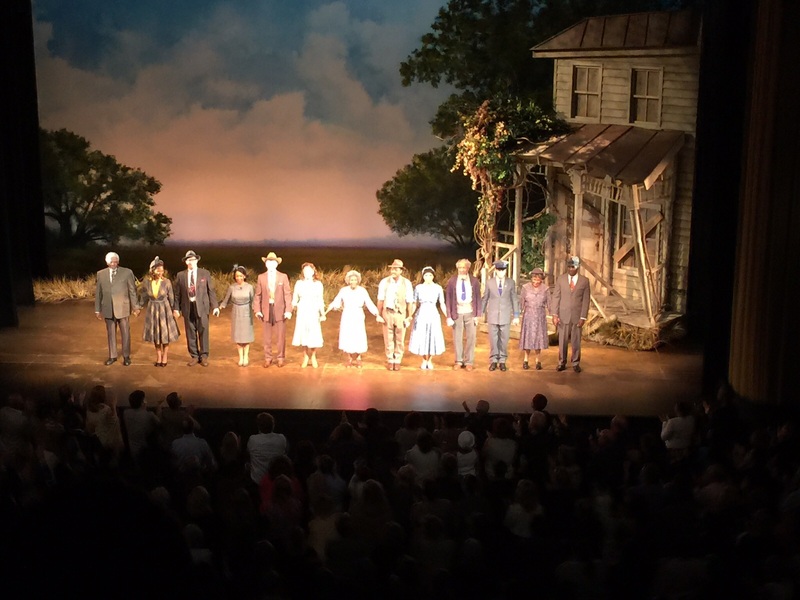 The Trip to Bountiful was written by Horton Foote. Last night’s performance starred Cicely Tyson as Mrs. Carrie Watts, Blair Underwood as Ludie Watts, and Vanessa Williams as Jessie Mae Watts. There is also a movie version of Bountiful that starred Geraldine Page as Carrie Watts made in 1985. In that version, Geraldine Page won an Oscar for Best Actress. Bountiful is the story of Carrie who is an older women living with her hen-pecked son and controlling daughter-in-law in an apartment in Houston in the 1940’s. Every month coinciding with the arrival of her pension check, Carrie attempts to return to the home of her childhood in the fictional town of Bountiful, TX. Just about every month Jessie Mae manages to stop her from escaping. Of course, there is the obvious parallel in my living situation. Paula and I are living with her 90 something mother. Mary K has her childhood home in a place named Piedmont, KS. It is a town that has, like Bountiful, seen much better days. 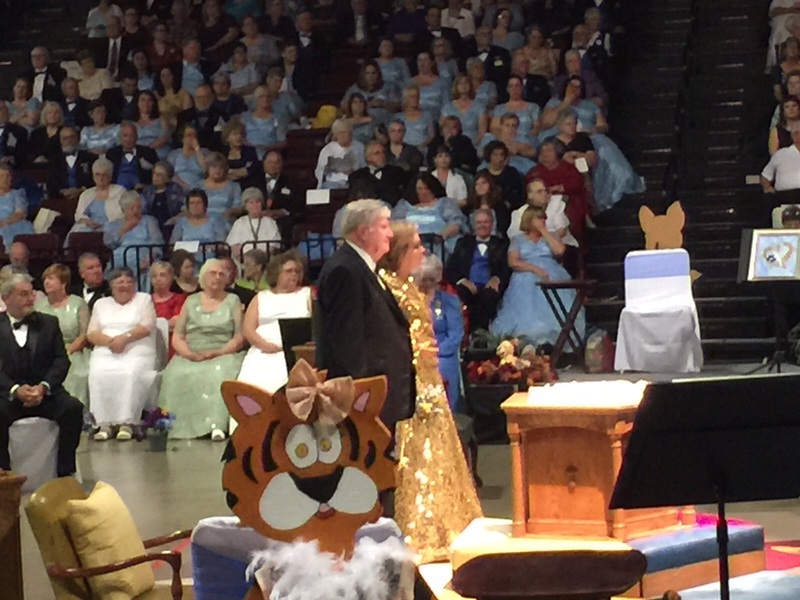 Mary has managed to make it back to Piedmont many times over the years. The most recent trip was this past May for her high school reunion. Paula took Mary this time and I begged off. Sometimes it seems that we are better off leaving the places of our past just in our memories. Going back doesn’t always work like we would like it to. So on to the review of the play last night. Ms Tyson nailed the performance of Carrie. She managed to get all of the mannerisms of an 80 something old woman and the clothing screamed “old lady dress”. I could close my eyes and see Mary K in my mind’s eye. Blair Underwood did an excellent job of playing the hen pecked husband and son. He got two ways from mother and wife. Last time I remember seeing Mr Underwood was in the TV production “LA Law” in the 90’s. Good job. I had a little trouble getting all of the dialogue. This is more a problem with my hearing than the production. No matter how much I tried to adjust my hearing aids, I just couldn’t quite find the sweet spot where every word came in loud and clear. The Ahmanson theater is a medium to largish theater in Downton LA. It is in the theater complex with the Dorothy Chandler Pavilion. It has excellent sight lines. We had seats in mezzanine (1st balcony) third row center. Mezzanine seats are easy to get to. We left San Pedro at about 6:15 and we were in our seats by 7:45. It takes a while to deal with traffic, parking, etc. During the intermission, the bar was charging outrageous rates. Two drinks cost us $26. Ouch. Could have used a tad more legroom. It is always a challenge to get downtown in the evening. 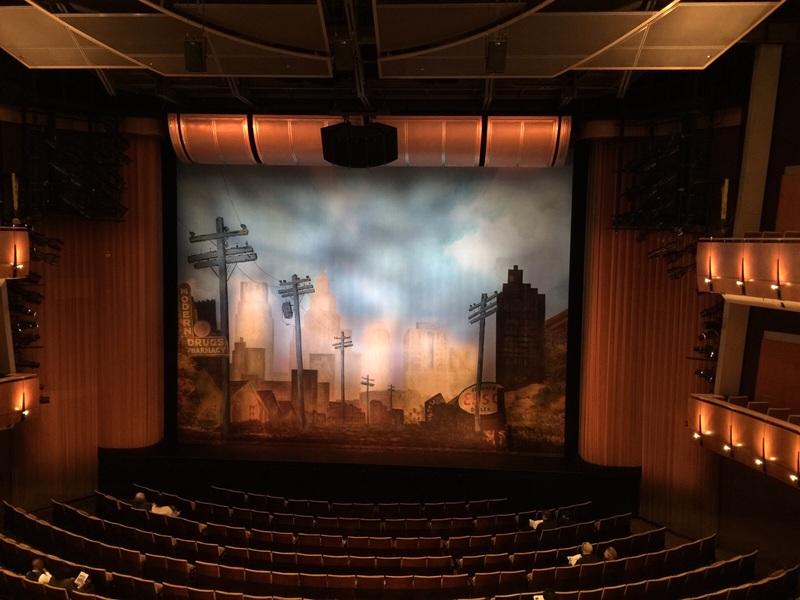 Bountiful is playing at the Ahmanson until Nov 2. So you still have a chance to see it. Certainly worth it. Or failing that go rent the DVD from Netflix. It’s been a bit crazy around here lately. This past Friday, our friend Andrea came to visit. Andrea is a college friend of Paula who lives up in Sacramento. [Andrea reads my blog, so I must be nice.] Paula and I headed up to LAX to pick her up at the South West terminal at about noon. LAX is a crazy place any time of day or night. Always heavy traffic. Well Andrea eventually arrived and texted us at the cell phone lot. Seeing as it was noon and we hadn’t had lunch we headed to Hof’s Hut in Torrance. We had a coupon for a free meal that Paula received for her birthday. Then we headed to Trader Joe’s to shop for groceries for the weekend. On Saturday, we planned to meet Ron & Thelma from San Diego. It’s about a two hour jaunt down to SD. We agreed to meet in the middle at the El Adobe Mexican Restaurant in San Juan Capistrano. SJC is just about half way between San Pedro and San Diego. We started off with margaritas all around. Interesting factoid about El Adobe. It was President Richard Nixon’s favorite Mexican Restaurant. His residence is not too far away in San Clemente. President Nixon would be known to send a secret service guy to get take out. Ron had just gotten a new Honda Pilot. Seats eight. Plenty of room for the family. Mike and Theresa just got a new Honda Odyssey. Same reason. Both cars are nice looking rides. Maybe one of these days we will trade in the 2007 Jeep. On Sunday, we all went to church, followed by a trip to the Gaffey Street Diner for some quality diner food. Gaffey Street was one of the places reviewed by Guy Fieri’s Food Network show. It’s one of our favorites. They just about know what I will order (Bacon and Eggs, Over Medium, Sour Dough Toast.) If I order something different the waitresses look at me funny. Finally on Monday, we took Andrea back to LAX for her flight to Sacramento. We love to visit but love to see her leave so that I get my office space back. Our third bedroom is combination guest room and office. We told Andrea that we would prefer that she fly to Long Beach Airport. Much less stress than LAX. No lines, no traffic. 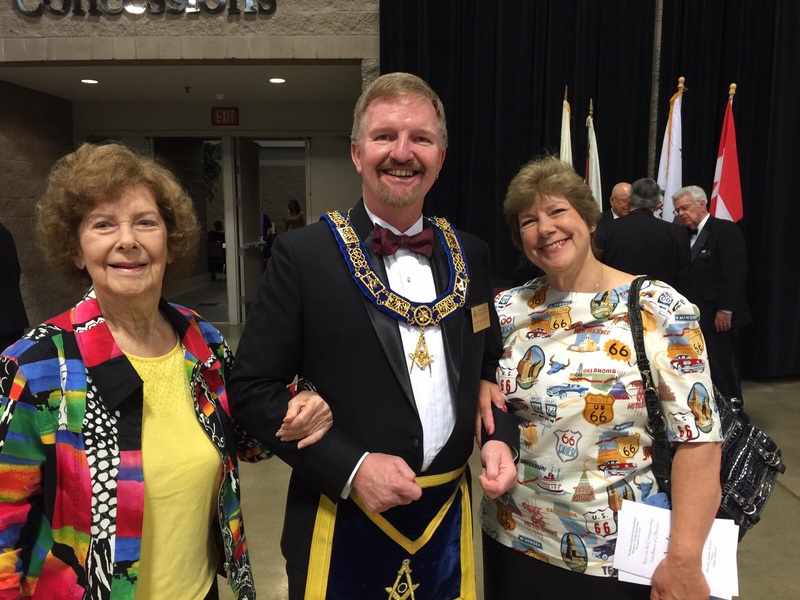 On Saturday, we will be making a quick trip to Visalia for the OES Grand Chapter Installation. Drive up on Saturday, back on Sunday.